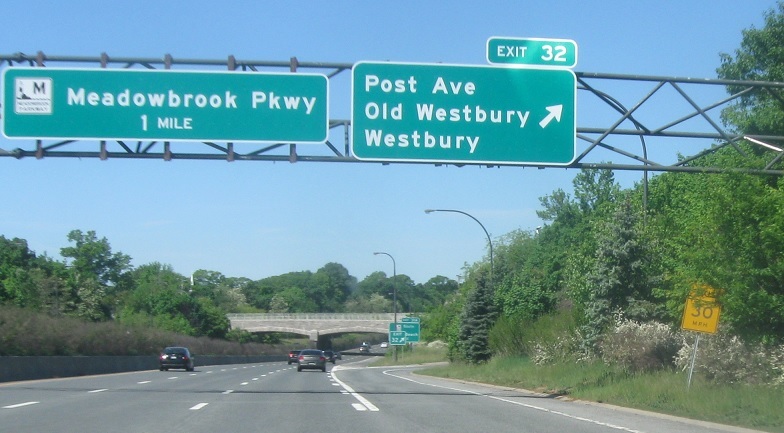 Reassurance shield after the Wantagh interchange. 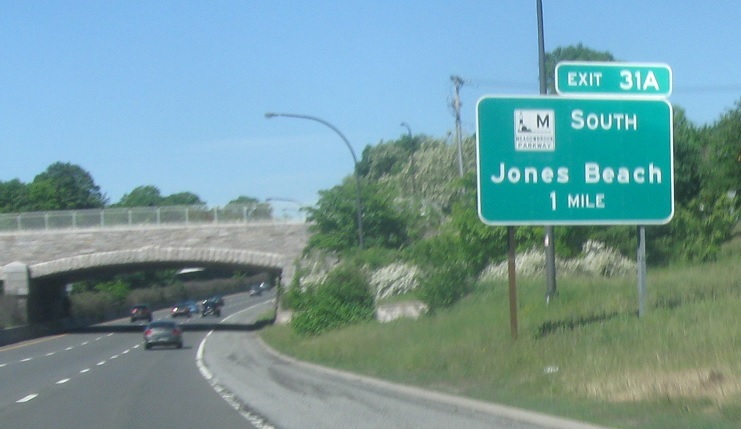 A mile later, we’re a mile from the Meadowbrook. 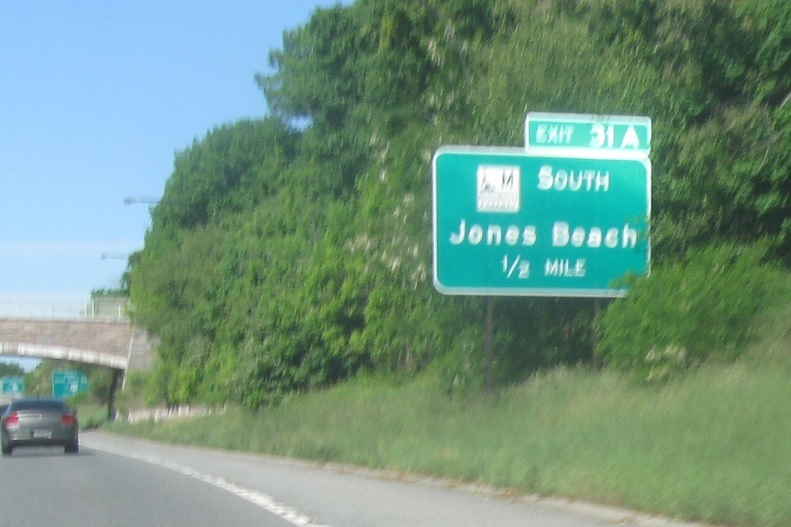 Follow the southbound Meadowbrook to Jones Beach. 1/2 mile to the Meadowbrook. 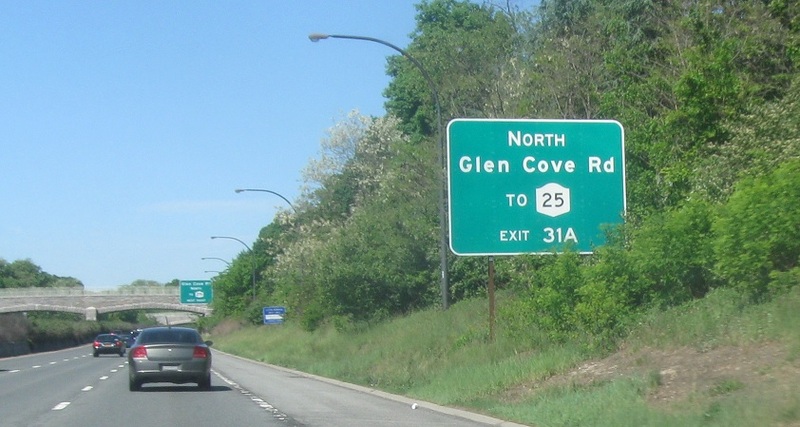 You can also exit at the Meadowbrook exit to connect to Route 25. 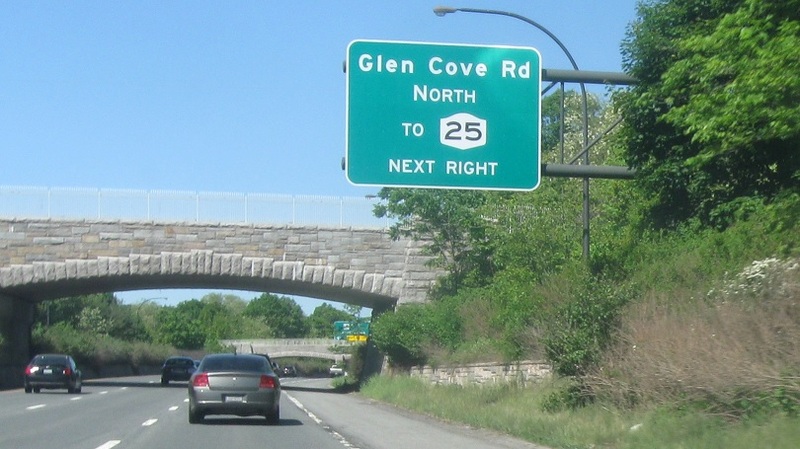 At the exit, Glen Cove Rd connects to Route 25. 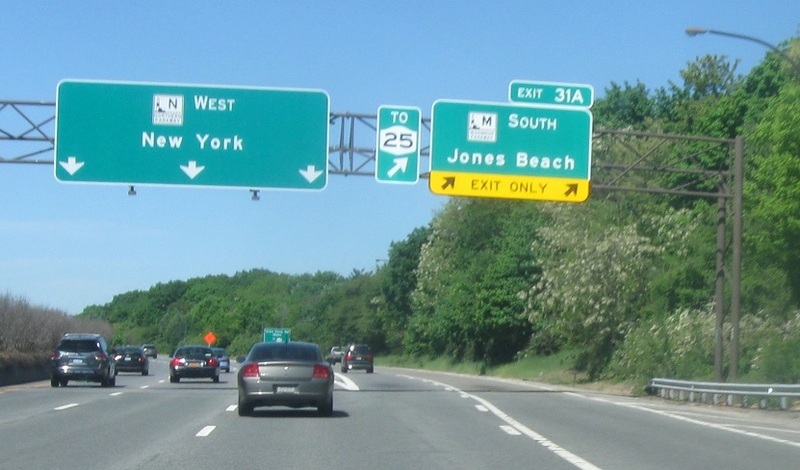 Traffic going from Route 25 to the Northern State connects directly. 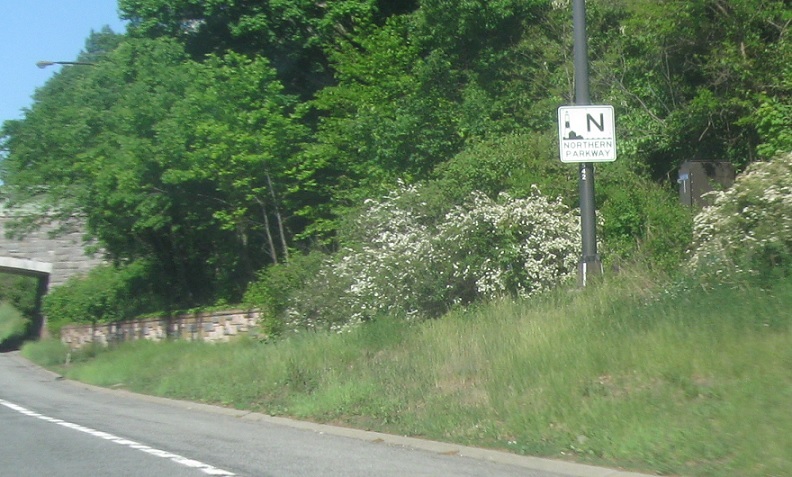 Exit ahead for the southbound Meadowbrook. 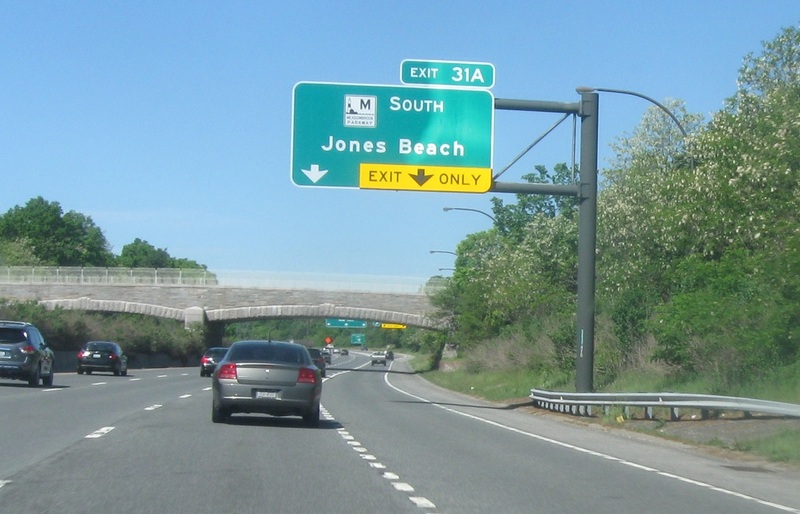 Exit for the southbound Meadowbrook and a connection to Route 25.